In so many ways an Adelaide cycling trip includes all the pleasures that we associate with cycling at Practice Bicycle for both the cyclist and non-cycling partner. Sophisticated, cultured, smart casual – is the self-image Adelaide projects, a nod to the days of free colonisation without the ‘penal colony’ taint of other Aussie states. 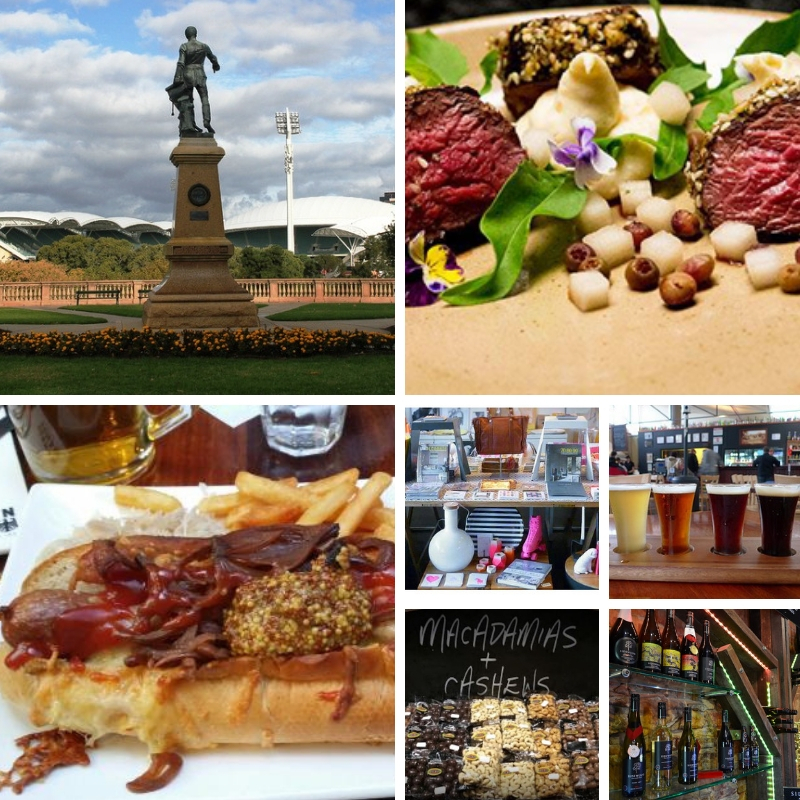 Sweeping aside the stuffy, affluent origins of the ‘City of Churches’, your Adelaide of today leads the pack when it comes to gastronomy combining fine eateries, award-winning wineries and busy boutique breweries, not to mention quirky shopping and fine countryside made for cycling. The climb to Mt Lofty, the perfect spot to admire the lofty views of Colonel Light’s vision – a city and metropolitan area with a neat grid-pattern of roads and streets and one big road called Diagonal Road that cuts a swathe across the metropolitan heartland. The discovery is just beginning with Stirling – a beautiful hillside town, if you’re peckish, head to the Stirling Hotel for a lunchtime special – think gastropub fare. Matilda Books on the main street is a fab find for quirky reads and also the Lobethal Bakery – tucked just behind the main street bakes a winning cheese and onion loaf. Wine lovers can make the most of an Adelaide cycling trip with a visit or two post riding. The Sidewood Winery for decent cool climate white wines from the Adelaide Hills and Barrister’s Block Winery for fine reds and quality whites crafted from small parcels are just a sample! Slow down at Woodside, for a visit to Melbas Chocolates and Woodside Cheese Wrights. At Melbas – complimentary samples are on offer in this former dairy, amongst the piled-high sweet merchandise. Try the dark chocolate macadamias. At the fromagerie next door, work your way through Persian feta, ash-rolled goats cheese, brie and other delights that give dairy products from Europe a run for their money. Purchases can be packed with an ice brick, too. The range of activities for any Adelaide cycling trip is truly endless. If you’re in need of a recovery day and a rest from the bike just for a day, visit Birdwood check out the National Motor Museum boasting Australia’s biggest collection of automobiles. Another great refuel stop is the Lobethal Bier Haus. Of course, horizontal beer tastings are on offer, and paired with great food including cheeseburger spring rolls and crisp porcini mac’n cheese, but this establishment also serves Adelaide wines by the glass.